Many Popular Motor Oils Make Claims To Be Engineered For Today's High-Revving 4-Stroke Engines. However, These Oils Are For Automobiles, And Do Not Contain The Additive Package Designed For The Unique Needs Of Power Equipment. 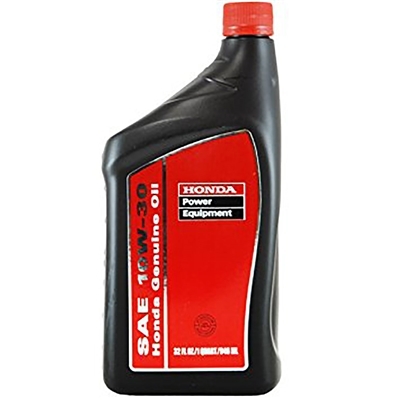 Honda Genuine Oil Is A Unique Blend Of Costly Shear-Stable Polymer Additives With Top Quality Base Stocks, Engineered By Honda R&D To Resist Viscosity And Thermal Breakdown In Power Equipment Applications.